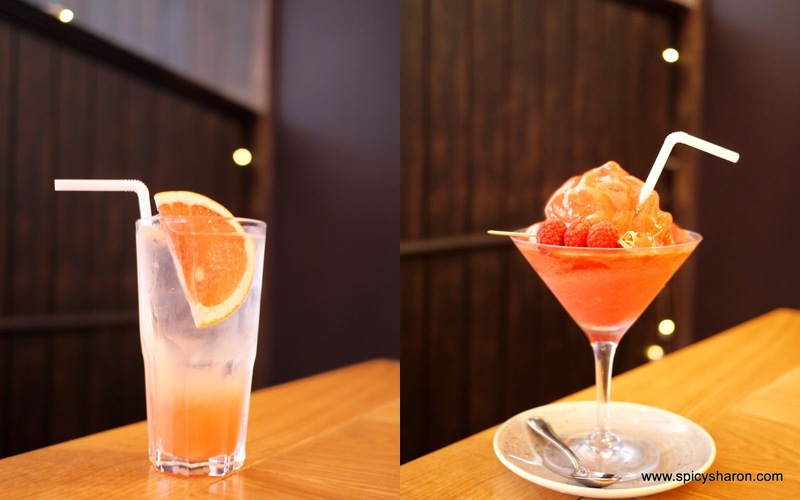 Wild Honey @ Pavilion KL – Delicious. Delectable. Delightful. Welcome to one of my newest and favorite brunch hangout – be prepared to queue, though it will definitely be worth the wait. Wild Honey need no introduction in my books. I have visited the original Singapore outlet before, and diligently blogged about it once. Their motto: No Place Like Home, and like the name suggests, the restaurant offers comfort food at it’s best, serving all day breakfast, everyday. Wild Honey’s numbering system is probably one of the best in town – there is no need to wait for my number to be called! All I had to do was key in my phone number and the number of persons, then I was free to walk away. A phone call was made to my number, followed by an SMS when it reached my number. Easy! That afternoon, I was seated at a long communal table, sharing spaces with at least 10 other hungry patrons. For drinks, my friend had the Queen Bee (RM14.00), consisting of a refreshing blend of ruby red grapefruit, elder flower and royal honey. I, on the other hand, had the Mandarin Wilderness (RM14.00), an ice-cool smoothie blend of raspberry, banana, mandarin orange and royal honey. Tip: there’s no time to spare, the smoothie melts quickly and spills off the glass. The next dish came highly recommended by many of my friends. The Barbary (RM36.00) was D-E-L-I-C-I-O-U-S! Shredded duck confit smashed in a ball of perfectly crisp potato hash (this was so good! ), on a pool of thick pink grapefruit hollandaise (which I initially thought was sweet potato puree to be honest), with a sunny side up and crispy shallots, and served with two slices of bread at the side. The unification of flavors worked so well together. Good – is highly subjective. Let’s taste. At first sight, The Delancey (RM40.00) didn’t seemed much to begin with. The pile of hand-sliced beef pastrami was not to salty, lean, chewy and perhaps a tad dry for my liking (if only it was a bit more tender…..), topped with poached eggs, smothered with grain mustard hollandaise (delightful! ), on a poppy seed bagel. I’m so glad we shared, I was stuffed by the time I finished one. There was no way I could finish both. Overall Rating: 8.5/10. I really enjoyed the overall dining experience here – the iconic interior; the friendly server; the numbering system (yes! ); and all the dishes I tasted in this writeup. Now, let’s see what I should have in the next visit. 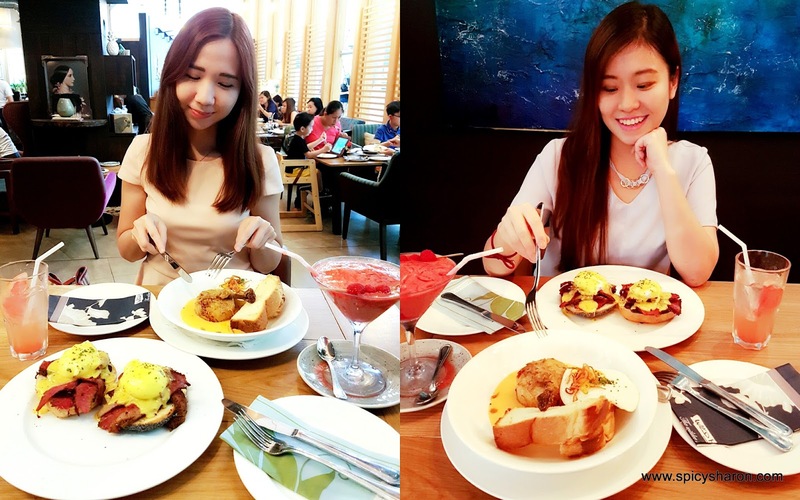 Wild Honey Malaysia is located at:Address: 6th Floor, Pavilion KL. 168 Jalan Bukit Bintang #06-645 Kuala Lumpur, Malaysia.Phone: 03-2110 1626Opening Hours: 10am-11pm Daily. KY eats – Kansai Festival at Kampachi Pavilion KL AL-AMAR Pavilion Kuala Lumpur MIGF Hakata Tsukemen Promotion, Ippudo @ Pavilion Tokushima Ramen Seasonal Promotion, Ippudo @ Pavilion KY eats – Sinalau Bakas (Smoked Wild Boar) near Kinabalu Park, Sabah Add Some Honey and Stop Feeling Guilty O’Galito Mediterranean Bar & Grill @ Pavilion KL Tujoh Cafe @ Section 17 PJ – Delicious Eating Plans For The Weekend? Influencers’ Night At Quivo @ Pavilion KL & Al Halabi @ JW Marriott KL A Delicious Experience At Chir Chir Fusion Chicken Factory.